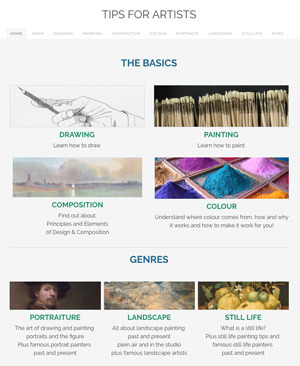 Yesterday morning I visited the Australian Impressionists exhibition at the National Gallery in London and I'd certainly recommend a visit to this small but stimulating exhibition. On the basis you can only really give 5 stars to a blockbuster of an exhibition, then I'd give this one 4 stars and would certainly recommend it as an exhibition every serious landscape painter should try and see. 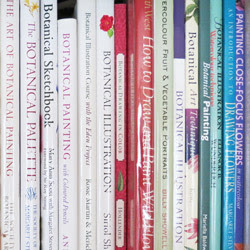 Certainly all those who paint plein air should make a pilgrimage! At the end of this review are links to more reviews if you'd like a wider perspective and other views as to whether it's worth making the trip up to London to see it. Interestingly not all of the painters are Australian by birth -- two were born in England - and not all of the Australian Impressionist paintings are of Australia - some are of France. Of which more below! 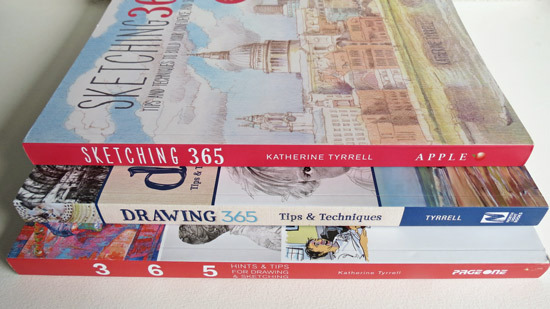 However if, like me, you are one of those people who like buying a catalogue for exhibitions you enjoy I wouldn't bother visiting for the next 2-3 weeks or so. That's because the exhibition catalogue sold out under 9 weeks of it opening - and with another 9 weeks to go before it closes (on 26th March 2017)! 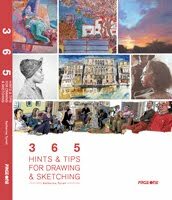 I gather that the catalogue is currently being reprinted but won't be back in stock until at least 20th February. I can only assume "somebody" vastly underestimated how many catalogues would be required for this exhibition! 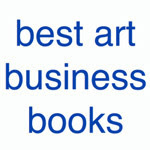 Which is a great pity as the Gallery won't make back those lost sales over a month or more of visitors and no catalogues! Not a very smart move from whoever is responsible for the merchandising of this exhibition. 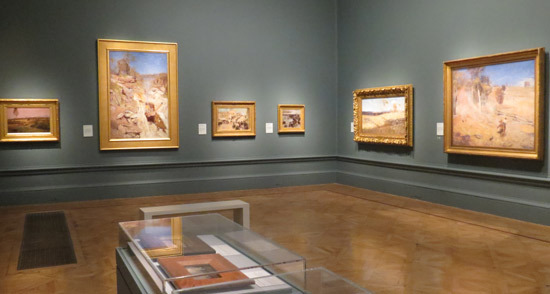 I'd also love to show you how the paintings in this exhibition look so much better than the very same paintings that I saw at the Australia exhibition at the Royal Academy of Arts back in 2013 (see my review 'Australia' Exhibition at the Royal Academy - review). I'd love to show the contrast but unfortunately I was not allowed to take any gallery view photographs! (Quite why Galleries invite people hoping to stimulate a review - and then say you can't take photographs(!!!) I'm really not sure. It's also somewhat annoying as as I found out later that videos of the exhibition and the paintings are already on YouTube!). The RA exhibition was when I saw Arthur Streeton's paintings for the first time 'for real' although I'd known about him and his paintings for quite some time. In my opinion the paintings look so much better at the National Gallery against very neutral stone coloured walls (rather than the Hex #666666 Grey colour at the RA). The background in this exhibition is a very Australian outback colour - it's the colour of dust and stone - and hence the paintings somehow manage to look more real. The blue glows even more and the stone colour unites the spaces inbetween the paintings and you very much get that sense of endless landscape which is very prevalent in Australia - it just goes on and on forever. (I've driven through landscapes in Australia similar to these albeit north of Sydney rather than south). Anyway - on to my image-heavy review. You can also see a list of reviews by other people at the end if you're unsure on whether to make the trip to the National Gallery. There aren't a lot of paintings in the show - just 41 in total. The exhibition is being held in the Sunley Room which is the exhibition gallery in the centre of the National Gallery usually used for the small/medium sized exhibitions. 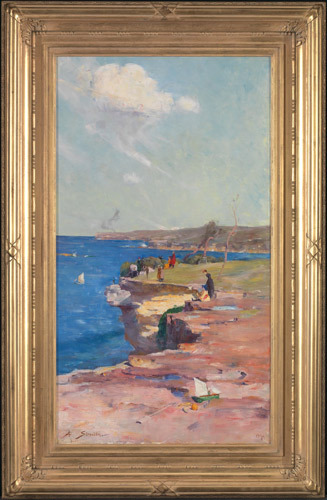 I gather this exhibition was triggered by the loan of an Arthur Streeton painting of Blue Pacific - to the National Gallery - one of the first paintings exhibited at the Gallery outside the hitherto normal scope of Western European painters. I know I spotted this last year and was struck by how it positively glowed on the wall of the Impressionist Gallery (I recognised the penetratingly blue blue used by Streeton!) 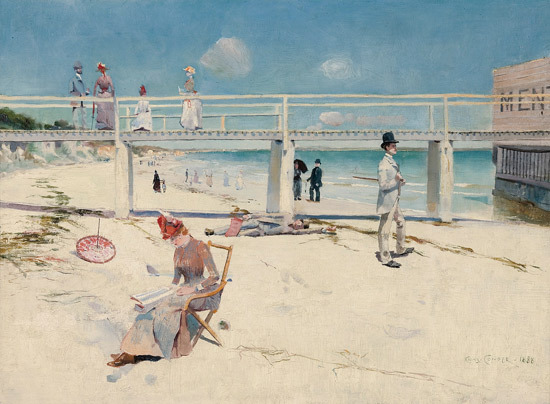 It's supposed to be painted at Coogee - so I checked and today the area where the people are standing is quite clearly fenced off for their safety! 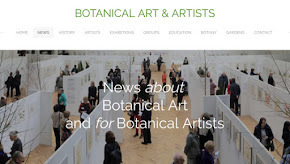 The idea behind this exhibition was to have more paintings by Australian Impressionists and I think probably to warm up the walls in winter by having some paintings of sunnier climes on the walls! The exhibition was put together in a very short space of time - in collaboration with Art Gallery of New South Wales. 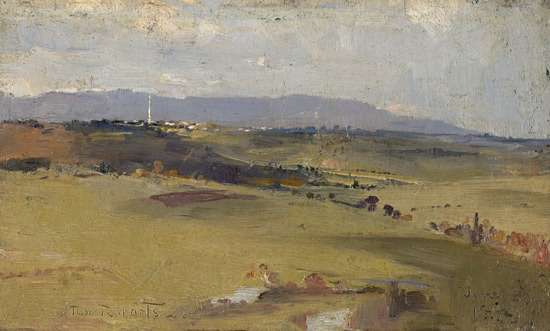 Tom Roberts (1856-1931) - founder member of the Australian group of plein air painters. He was born in Dorchester, but left England age 13 for Australia. He returned to England for three years of full-time art study at the Royal Academy Schools from 1881 to 1884, studied and travelled in France and met up with and made friends with John Russell and learned more about the practical aspects of Impressionism. He then studied in France and came back to Australia in 1885 as a major advocate of plein air painting in an Impressionist way. This is one of his paintings of Sirus Camp which is one of the places where they camped out. The treatment of the trees is very "brushy" but very persuasive from a little way away. 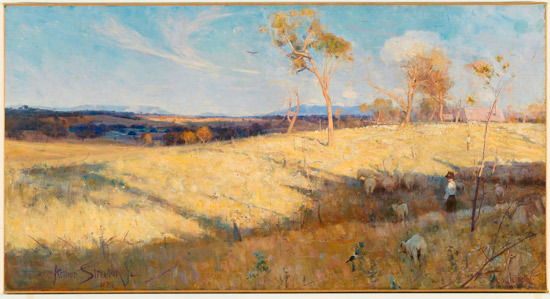 Arthur Streeton (1867-1943) is the man whose work I fell in love some years ago. He's a fabulous painter. My jaw dropped when I saw The purple noon's transparent might for the first time. It stayed dropped for some time - and this painting is even better in person - especially when seen in its frame. he's a total master of tonal changes as the painting moves out to the horizon and consequently his paintings have got realdepth. He's also a brilliant draughtsperson too - his trees are very convincing and I think it's almost possible to identify the species! 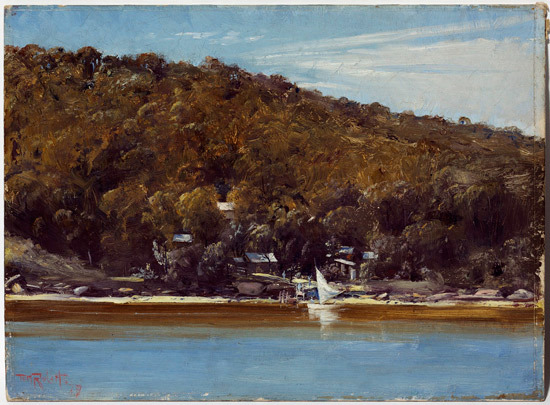 Streeton had worked from the top of a cliff which overlooked the Hawkesbury River. He subsequently commented on this particular painting as follows "The glory of the river and plain spread before me.... Far below were the tops of river-oaks, and water like the blue of a black opal. The brightness of noon, the power of deep blue, the flies, and the temperature now 108 degrees, wrought me to a pitch of excitement.... the atmosphere 10 degrees higher than my own temperature crept round my face like a flame; and it seemed like working in a fiery trance. I paused and found that in two hours two thirds of my canvas was covered with paint, I had stamped my big impression upon it, I had made my picture." He was born in Victoria and in 1888, helped found the famous Heidelberg artists' camp at Eaglemont - which is where he also painted the very famous painting at the top of this post. 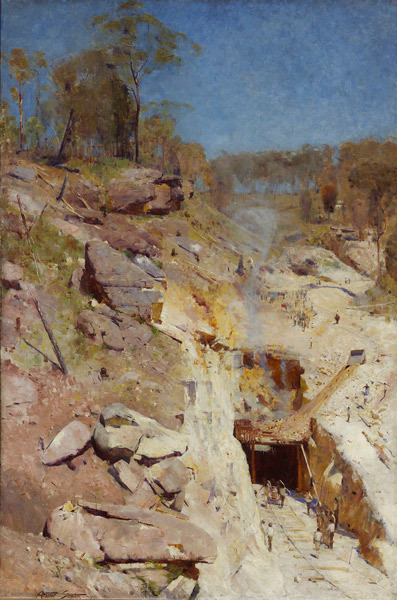 Golden Summer, Eaglemount was shown at the Royal Academy Summer Exhibition in London in 1890 and also at the Paris Salon the following year where it got an Honourable Mention. Charles Conder (1868-1909) - born in Tottenham, spent his childhood in India and migrated to Australia age 16. 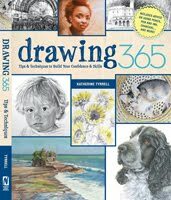 Worked as a lithographer and contributed drawings to the Illustrated Sydney News. He sought tuition, met Roberts and then moved to Melbourne and shared Robert's studio. He left Australia never to return in 1890. His paintings reminded me of Eugène Boudin one of the first French landscape painters to paint outdoors (and a man who inspired Monet) i.e. on the realistic end of Impressionism - with people in his paintings. This particular painting also has a lot of echoes of the Japanese prints which were so popular at the time. His work forms one of the main themes of the show - see below. In August 1889, the the Heidelberg painters opened their 9 by 5 (inches) Exhibition of Impressions at Buxton's Art Gallery, Melbourne. It had 182 exhibits. 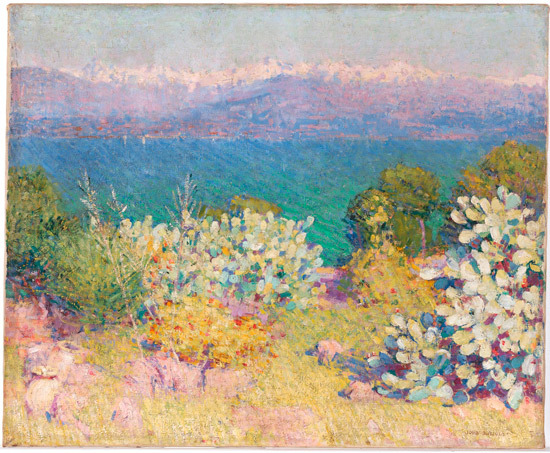 The Gallery has mocked up the Australian equivalent of the very first Impressionist exhibition in Australia - call the 9 by 5 exhibition after the cigar box lids that most of the plein air impressionists landscapes were painted on. I'd have liked to have shown you this - but sadly no gallery shots! Here's an example of one of the paintings. Others are smaller impressions of urban life. This is perhaps the theme which I most readily relate to the Australian Impressionist movement. These are landscapes painted for the most part plein air. The National Landscape as a term is derived from the move towards nationhood and the creation of the Federation. In terms of the exhibition this is where most of the bigger paintings are. 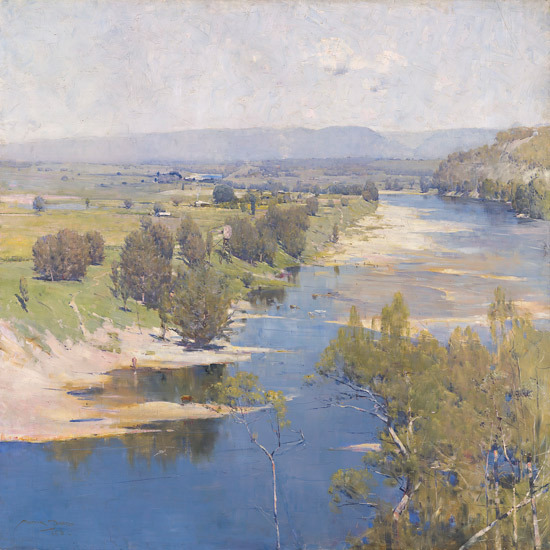 As you enter the larger room there's an absolutely stunning view of two iconic Australian landscapes - Golden Summer, Eaglemount and Fore's On - both by Streeton - and this is why I am lamenting the absence of any gallery shots in this post! I wish I knew how he gets the most intense blue in his paintings which is anything but flat. One also needs to remember that both iconic paintings were painted by a man who was less than 25 years of age at the time! John Russell was a revelation to me. He was included in the exhibition as a way of getting him a better profile and to also ask how do you define an Australian Impressionist. For here is an Australian painter who trained in France and then stayed there to paint in the Impressionist style. Moreover most of his paintings - including the ones in this exhibition are of France and not Australia. So if he really an Australian Impressionist? Does it really matter? I know I walked round the corner of the room and saw a row of paintings of which were sensational. This one was my favourite - I loved the colours and the sunshine. 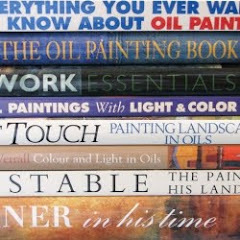 My observation about Russell would be that where as the other used heightened versions of a natural palette, he was a sheer colourist who pushed his palette and seemed to be universally interested in lavender, pale jade, pink, turquoise and aqua, lemon and gold ochres. He also seems to be besotted with dancing with his brush on the canvas - one paintings was completely full of squiggles. The phrase which sprang to my mind is that they "revved up the eyeballs" His paintings are a real tonic in the middle of grey days in winter! 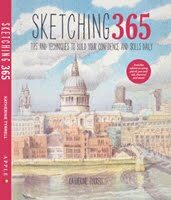 He's certainly a "must see" for all those plein air painters who enjoy exploiting colour.